Boston Properties (BP) is one of the largest owners, managers, and developers of first-class office properties in the United States, with a significant presence in four core markets: Boston, Washington, D.C., Manhattan and San Francisco. The Company was founded in 1970 by Mortimer B. Zuckerman and Edward H. Linde in Boston, where it maintains its headquarters. 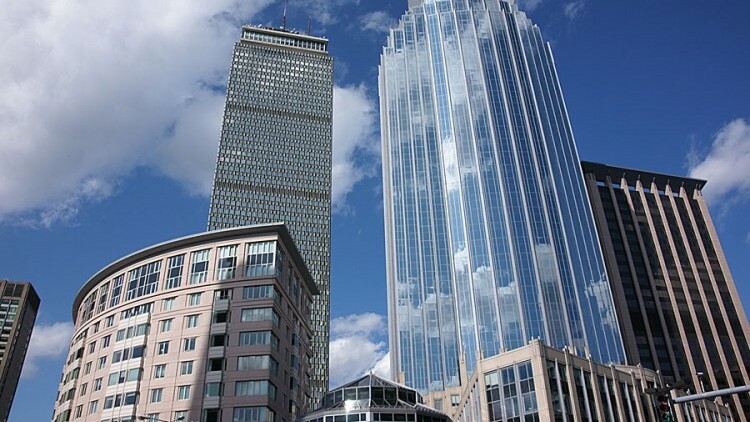 In 1988, BCM Controls began implementation of control and energy modifications at the Prudential Center in downtown Boston, one of the most prestigious commercial complexes in New England. Since this time, BCM has installed an Energy Management System (EMS) for all major HVAC equipment at the 3.2 million square foot complex including centralized chilled water and hot water plants, air handling systems, building smoke control systems, utility metering and terminal systems serving individual rooms. The EMS includes over 2,500 controllers and 10,000 points of control at the Prudential Tower, 101 Huntington Avenue and 111 Huntington Avenue. Through construction and energy retrofit projects, constant volume air side and water side systems were changed to more efficient variable volume systems. BCM partnered with BP, consulting engineers and mechanical contractors to implement control infrastructure for these systems. Variable Frequency Drives (VFD’s) were installed and now control hot and chilled water plants as well as condensor water loops. BCM converted cooling tower fan control from 2 speed to variable speed. VFD’s and associated controls were retrofitted on 2 speed air handling units. Thousands of stand alone controllers maintain precise environmental conditions for individual office spaces. This “smart building” system also includes control of lighting systems, monitoring of back-up generators and fuel levels for all buildings on the complex. BP leveraged the “smart building system” for its metering needs. BCM established electrical, steam, chilled and condenser water monitoring systems so that the BP is able to accurately bill tenants for utility consumption with reports tailored to BP’s billing needs. The Prudential Center building automation server distributes information to 5 workstations on campus and is utilized as a hub for monitoring and control of additional BP sites with EMS throughout Northeastern Massachusetts. BCM Controls continues to work in partnership with BP on construction and energy conservation projects. In addition, BCM assists BP in its day to day operations through a comprehensive service agreement.